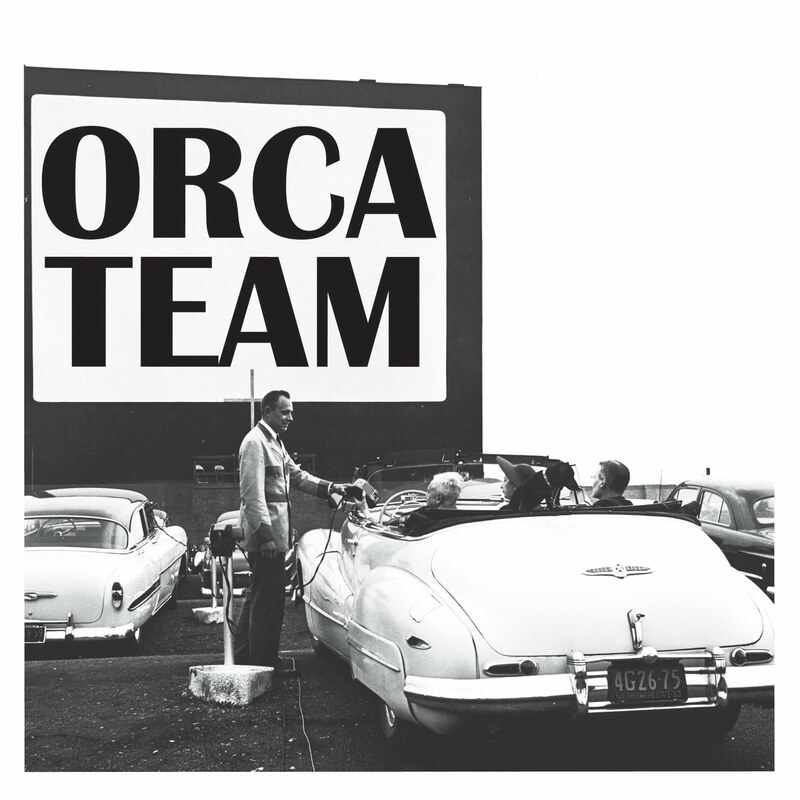 Orca Team is a small band from Oregon in the US; with a somewhat simplistic sounds to them, the trio writes light, nearly shoegazing tracks that are, at the very least, soothing to listen to. Last week, I had the pleasure of conducting a brief interview with the members Leif, Jessica, and Dwayne. So where and how did [Orca Team] originate? Leif: I met Jessica while at college. We both attended Western Washington University. We were both interested in zine making and the girlfriend I had at the time made a club inspired by making zines. Jessica and I were polite to one another but never made any real strong connections. Years later when I moved down to Portland Oregon, a mutual Bellingham friend reintroduced us. It was very special and we realized how much we relished in one another’s company. Jessica: Totally. When Leif and I were reintroduced it was amazing how well we worked together. After a while it became clear that we should start a band together even though Leif was in like four bands already. Leif: We originally started the band with Jessica playing bass guitar and me playing guitar. After trying to write a couple of songs, we realized it sounded terrible. I was just trying to do a bunch of shredding on guitar while Jessica was just hitting root notes on the bass. Jessica: It was seriously god-awful. Leif: So we decided to work with one another to build a sound with more tension. Jessica had never played guitar so we worked together to have a new language of song writing that used intervals rather than chords. I had never played bass before ORCA TEAM so I have no real understanding of what I should or should not be doing. When we first started, we were playing with some drummers in a very minimalistic style and it really shaped what we wanted to do. I think as time goes on, we add in things here and there to keep from having our sound get stale. We’re always sure to keep our sound in check to not let our songs become too proggie. Jessica: By switching instruments the sound of the band totally shifted under our feet. The first thing that became clear was that it would be ridiculous for me to play full chords and compete with the bass lines Leif was coming up with. So I started playing two-string chords and riffs, which lead to Leif carrying the melody and me playing more rhythmic parts. Leif: Dwayne and I met officially right after I graduated high school. It was on a camping trip. We had known one another from before but we had never talked in passing. We thoroughly enjoyed each other’s company. Dwayne kept making terrible and inappropriate jokes and I continued to laugh at them. While I was in college, we saw one another fairly often throughout the years. Eight years after we met one another, I asked if he wanted to be in a band with me but the conditions were he couldn’t play any fills on the drums. Dwayne: My Jokes were amazing. Jessica: I met Dwayne through Leif several years ago and I remember at the time he had an ironic moustache and told a lot of terrible jokes. Over the next couple of years though I saw Dwayne a handful of times and grew to genuinely like him. His jokes got better and I always liked his and Leif’s friendship. So when Leif suggested having Dwayne play drums with us in May 2011 I was thrilled. As a follow up, what were your biggest musical influences at the time? Dusty Springfield, Young Marble Giants, The Flamingos, The Slits, Pylon, Del Shannon, The Smiths, Jan and Dean, Marine Girls, and The Raincoats. Where did you first start performing, and at what point did Orca Team begin to ‘take off’ in popularity? Orca Team: We first started playing together in Portland Oregon. Our first show was in a garage in NE Portland that could only hold ten people. And at the time that show was all we wanted to do as a band. Over time though we’ve gotten more and more amazing opportunities, such as indie tracks. There’s never been time where we’ve felt like we’ve really taken off. It seems as though our popularity has grown slowly an steadily over time. One last question- it has a bit less to do with Orca Team, but what is your stance on music distribution today? Orca Team: I don’t know that any of us have a strong feeling either way. But I will say the decentralization of music distribution exciting. Every format offers its own benefits and it seems like labels are increasingly combining formats in interesting ways. For example the label that is putting out our tape, Cassingle and Loving It, is including an exclusive download of rare material and a music video we made just for them with a tape. Naturally that isn’t as viable of an option for most bands without label support. In fact it seems like the decentralization of distribution has made it much more difficult for bands to release seven inches or LPs themselves. That is why many bands we know are putting out tapes rather than vinyl.